Now I can reveal what I have been busy with these last few weeks. As part of the international exhibit "EV+A 2010: Matters", curator Elizabeth Hatz of Sweden commissioned me to produce a sound art installation. The location is the old art college building on George's Quay, Limerick, a space once used for the fashion and sculpture departments. The exhibition opens today, Friday 12 March at 7pm with a ceremony at LSAD Gallery, Limerick School of Art & Design, Clare Street. It runs for 10 weeks, until Sunday 23 May, at many venues across Limerick. These include The Hunt Museum, Limerick County Hall, Thomond Park Stadium and the Absolute Hotel. A total of 58 artists are included. For more details visit the ev+a website. 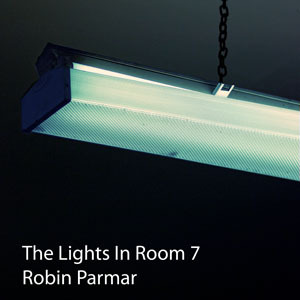 Those who come to the room will hear sounds that differ for each visit, but which all share in common the source described in the title, "The Lights In Room 7". I hope to write more about the process I used and perhaps conduct a workshop for those who are interested in site-specific sound art. Please read the follow-up article, Interactivity As Entropic Prison.